Yesterday was definitely an “I’m craving a little Mexican food” day. I’ve been in a bit of a funk, stressing over starting the new job, so I decided to whip up some comfort food. Fajitas? Comfort food? 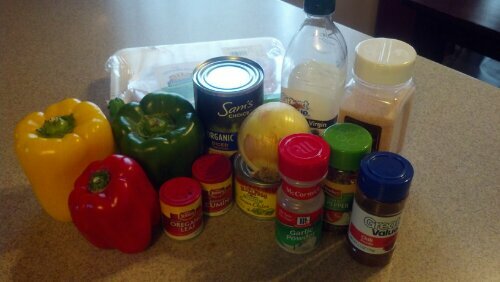 I knew I did not want to use fajita seasoning from a pouch, so I hit up Pinterest to see what I could find. *Preheat the oven to 400 degrees. 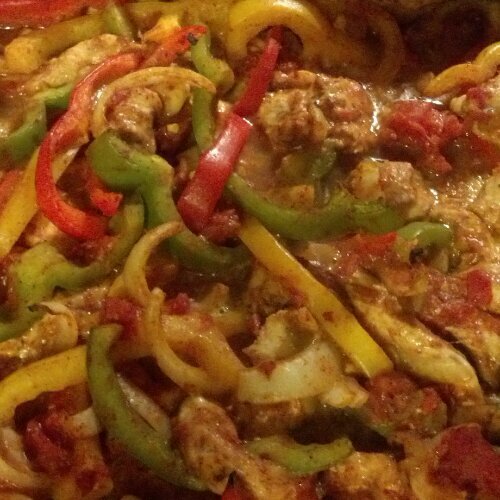 *Mix together chicken, tomatoes, chilies, peppers, and onions in the dish. 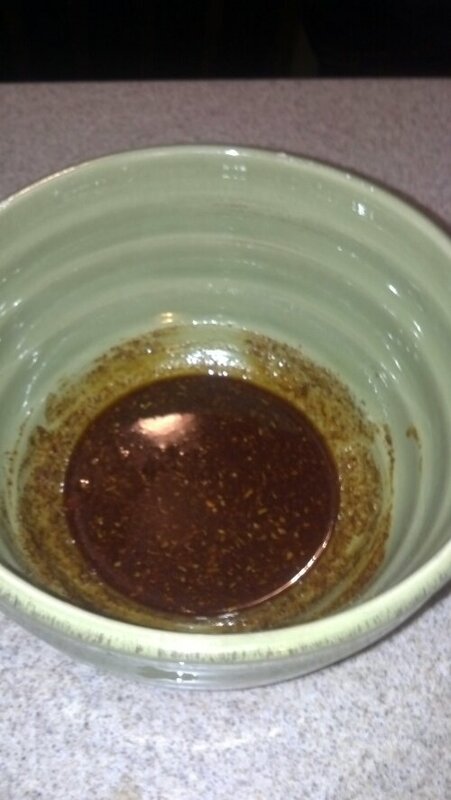 *In a small bowl combine the oil and spices. 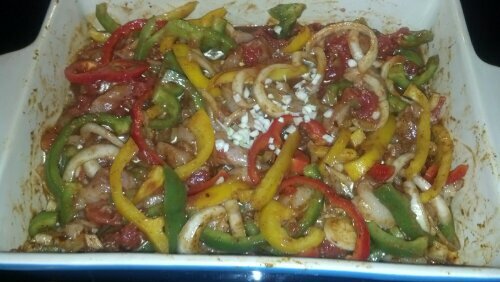 Pour spice mixture over the chicken and toss to coat. *Optional at this point to cover and refrigerate for 30 min to 1 hour so everything can get happy together. I did, and you won’t regret it! I will likely marinate the chicken alone overnight next time, because that’s how I roll. 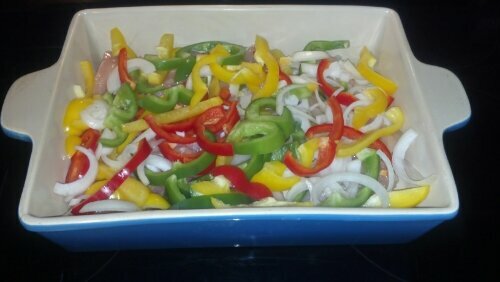 That, and because these fajitas were even tastier for lunch today..the getting happy together thing is key! *Bake uncovered for 30 minutes or until chicken is cooked through and the vegetables are tender. *Serve with warmed tortillas or open face on top of a bed of prepared quinoa, which I highly recommend! Enjoy! Recipe adapted from this one! And to balance out all the yummy goodness of a recipe, here’s what my workouts have looked like this week! 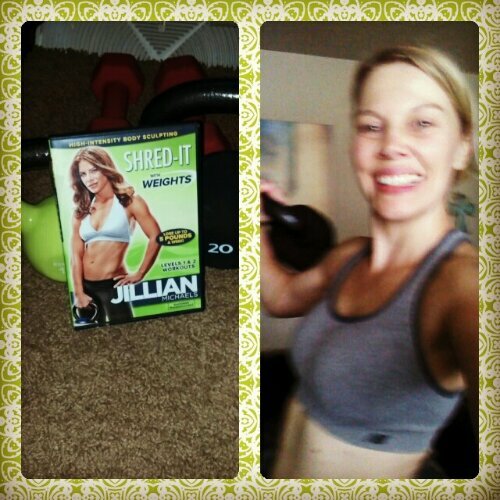 Monday: Jillian Michaels Shred it with Weights. I’m up to most exercises on level 1 with the 20# kettlebell, but the snatches at the end scare me with more than 10#! I’m afraid I’ll break my wrist! Wednesday: Jillian Michaels Yoga Meltdown level one, because I wanted an easy day…then I remembered it was Jillian. Ugh, I WAS NOT feeling it today. 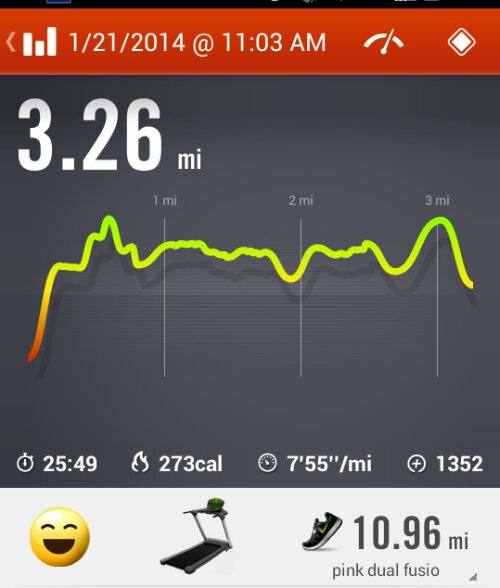 Been a long time since I’ve had a run I just wasn’t into! 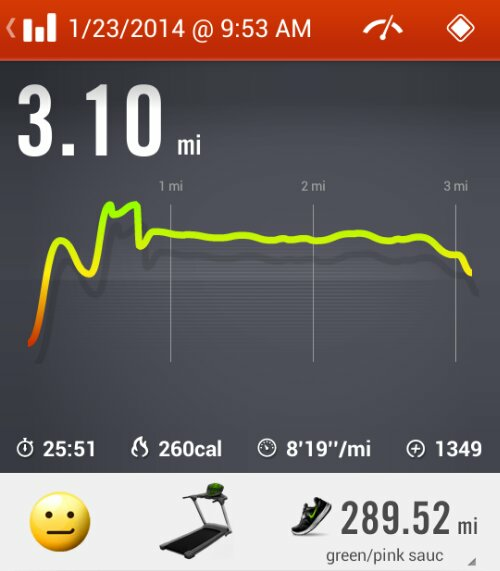 I was ready to call it quits before the first mile. Tomorrow I’m aiming for T25 either alpha ab intervals, or beta dynamic core…I’ll sleep on it! Then hoping to take a little road trip with the hubs this weekend to get some new running shoes go to Fleet Farm. He’s had a gift card burning a hole in his pocket since Christmas! Think they carry these at Fleet Farm? 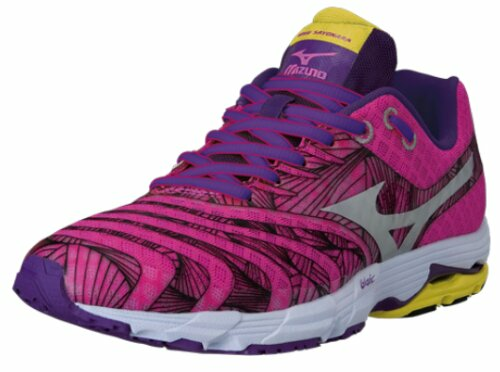 I’ve loved my Saucony Cohesion 6’s, but sooo want to give the Mizuno Wave Sayonara’s a try! Oh man I’ve had a similar pin just sitting on my board (don’t they all) but hearing about it from you is much better. It’s gonna be going into rotation for next week’s dinners. Getting away from using spice packets is so smart.